Responses to the results of the U.S. presidential election in the U.S. academy have included the idea that the field of political science finally proved to be defunct, and that the times call for more respect and support to areas such as philosophy and the humanities. What these responses miss is that, if anything, the elections made visible the problematic character of hegemonic models of the entire field of “arts and sciences,” including political science, philosophy, and the humanities. They also miss that the most relevant areas of scholarship at the moment might be the ones that are typically relegated to a second-class status or worse : Ethnic Studies, Women’s and Gender Studies and related fields. I will avoid commenting much on the overwhelming lack of “diversity” in areas like philosophy and political science, which I think is connected to the very real limit that these areas find in responding adequately to the current situation. But I will note that considering that the racial composition of philosophy departments may be as bad or worse than the collective of Trump supporters in his rallies and the now in power Republican Party, I had a hard time reading a recent defense of college philosophy education as a serious response to the post-election crisis. In many ways, the university is an engine as well as a mirror of the world, far from its usual presentation as an exceptional space. The same racism, structural inequalities, and phobias that are present in society can be found in the university, just often, but not always, with different codes. Needless to say, racism is not only found in some fraternity parties, but also sometimes in more sophisticated and lethal forms in faculty and administrator’s meetings and projects, including “diversity and inclusion” initiatives. Consistent with the racial bias in higher education, many academics tend to look at Ethnic Studies fields as illegitimate intruders that challenge the quality of education, or as temporary remedial areas that provide refuge to students of color while the important fields (such as History, Sociology, and English, among other areas) subsume the scholarship produced in those fields and improve it. This is part of the reason why universities have not invested significantly in these fields, and why, what these fields do never gets to represent an important part of the rankings that universities use to rationalize their choice of supporting the units that already benefit from their large size and their alignment with the established rankings. Little attention is given to the limits and problems of criteria for excellence and prestige created and designed in contexts where racial denial and the racist construction of knowledge have been normative. I would dare to say that many, if not most, of us faculty of color in institutions of higher learning feel like Dave Chappelle and Chris Rock in the Saturday Night Live’s skit where they hang out with white friends in election night. The difference is that we cannot afford to laugh because the university space is not as unforgiving as their nice living-room where they hanged out with their white friends. We live in a context where our contributions and the fields that have so prominently called for attention to the significance of racism, sexism, and multiple other forms of structural inequality and phobias keep being ignored and in many cases are aggressively limited and shut down, while white academics share in the scandal of discovering that the country is racist, that race counted for so much, or that people seem to easily disregard racism and the threat on multiple communities as long as they are promised better economic conditions—of course, better economic conditions alone is not solely what many of they want. At the same time, the very same academics tend to remain blind to the racism, sexism, and structures of inequality and phobias that they perpetrate and that are constitutive of the academy itself. If there are areas of study that deserve more attention after the elections, they are the fields that were at the forefront of critiquing and opposing the extremely and largely intentional slow and ineffective post-racial script of “diversity and inclusion” all along, namely, critical, intersectional and decolonial Ethnic Studies fields as well as Women’s and Gender Studies. Support of these areas may represent the most direct and firm challenge to the current neo-fascist trend in society and to the liberal post-racialism in the academy. They are also the areas that are best prepared to equip students to critically analyze and oppose fascist, racist, and dehumanizing tendencies. This includes not only the theoretical tools and multiple research projects, but also their attention to pedagogies that challenge the walls of separation between our campuses and the communities that surround them. The critical and intersectional tools and pedagogies developed in decolonial Ethnic Studies and Women’s and Gender Studies programs allow us to see, for example, that while calls for making university campuses “sanctuaries” for the undocumented are extremely valuable today, our campuses have never offered a consistently safe space for students or communities of color. Even faculty of color are treated as threatening outsiders sometimes, and students of color take on the added responsibility of reaching out to their communities while their overall time for studying is reduced by added hours at work. Universities cannot become real sanctuaries for people of color as long as what they consider sanctum continues to be premised on our secondary status, if not the expectation of our disappearance and the mere “inclusion” of our scholarship in the very same fields and structures that have denied those issues entry for so long. We will not go far if we fail to confront the reality that the liberal arts and sciences themselves, not neo-fascist ideologues, are responsible for all this. Likewise, our efforts to address and counter the racist forces that are becoming so obvious today—but that have been dominant all along—will be undercut if calls for increasing the number of sanctuaries for the undocumented collapse into the affirmation of discourses and practices of inclusion, instead of becoming part of the struggle for decolonization. The opposite of exclusion, in contexts structured by coloniality is not inclusion, but decolonization. Inclusion, in these contexts, is just another form of coloniality. Long before Trump promised a wall, universities have been increasing their disconnection with their surrounding communities and making it more difficult for those communities to consider universities not only accessible, but also relevant. University policies of “diversity and inclusion” and the increasing disconnect of universities from communities contributed to failing in the effort to produce the kind of student body and scholars who would stand up to the neo-liberal and neo-fascist challenges of the time. In this context, neither rejecting the vulgar racism and sexism of the Trump campaign, nor voting for Clinton, nor joining campaigns to increase the number of sanctuaries for the undocumented assume the depth and weight of the challenge. The struggle is against racial liberalism, racial neoliberalism, white supremacy, sexism, heteronormativity, and neo-fascism combined, all of which represent a challenge to excellence in knowledge production, not to mention a threat to historically disenfranchised communities, among others. For this reason, as much as calls to secure college campuses as sanctuaries for the undocumented are important, the real challenge for white academics and those who share the perspectives that seem to be most dominant among them is not so much joining these campaigns, but becoming part of the struggle to decolonize the university. That, I anticipate, will be much more difficult to all of them. To be sure, this does not mean that there should not be efforts to bring different sectors together in favor of the sanctuaries—clearly we should strive for that—, but only that a) we cannot allow this cause to become yet another means of strengthening post-racialism, liberal inclusion, and the redemption (without reparations) of whiteness, and b) this is only part of a larger struggle that includes the desegregation and the decolonization of the university. The times call, not for yet another round of self-congratulatory efforts from scholars in the humanities and the humanistic social sciences who aim to “save” their units in a context of austerity and now moral outrage, but for a serious reflection on the entanglement of all of these areas with the order of knowledge, being, and power that naturalizes race and other forms of structural inequalities and phobias. Likewise, the current moment provides yet another opportunity for academics to learn from and support the most rigorous and consistent anti-racist, anti-sexist, and decolonial scholarship and pedagogy there is, found in Ethnic Studies, Women’s and Gender Studies, as well as in Sexuality Studies fields. This is a moment to identify and develop new strategies of transformation beyond “diversity and inclusion” initiatives. Here is an opportunity to break from the spell of academic liberalism and to support the kind of research that has always identified the limits of post-racial discourses in the academy. Administrators will unlikely find more direct legal means of opposing the neo-fascist trends than by aggressively supporting Ethnic Studies and related areas that have a substantial record of producing critical, intersectional, and decolonial scholarship. Critical, intersectional, and decolonial epistemic and research fields should receive enough support to serve as matrixes for the transformation of the humanities, the sciences, and, as Johnella Butler has put it, the common good. Their task should include not only innovate research, theory, and methods, but also the creation of civic engagement opportunities that can make universities, not isolated bubbles or quasi-commercial malls that remain inaccessible to working class and immigrant communities, but sanctuaries as well as houses for empowerment and bridges to historically disenfranchised communities. These units should be given an opportunity to take the lead in challenging the divides between intellectual movements and scholarly contributions, on the one hand, and social and artistic movements, on the other, with the idea that they all can contribute to the task of desegregating and decolonizing our epistemic and social formations. 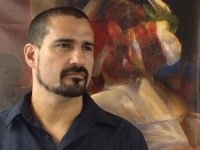 Ethnic Studies and related units that are truly oriented by critical, intersectional, and decolonial perspectives can lead an intellectual and pedagogical wave of critical, intersectional, and decolonial work that can make the entire university more relevant than ever to the 21st century and more responsive to the challenges of our liberal, neo-liberal, and neo-fascist times. Likewise, trailblazers in the efforts to counter the post-racial narrative that greatly contributed to our current situation, and tested leaders in the effort to decolonize the university should be given opportunities to shape the current responses to neo-fascism and to move the university forward in the 21st century. There are no laws that make these changes impossible. It is rather a question of vision and priorities. Every day that goes by without firm and serious steps in this direction is yet another unnecessary postponement, another lost opportunity. See Johnnella E Butler, « Ethnic Studies as a Matrix for the Humanities, the Social Sciences, and the Common Good. » In Color-Line to Borderlands : The Matrix of American Ethnic Studies, edited by Johnella E. Butler, 18-41. Seattle : University of Washington Press, 2001.